Even for a group accustomed to life in the clouds, the moments at the summit of Mount Everest can present a unique set of problems. At 29,000 feet, quick-changing weather conditions with gusting winds, altitude sickness and oxygen deprivation are all potentially fatal concerns. Despite the risks, hundreds of climbers make the trek to Everest each year fueled by their own motivations while many have died in an attempt to reach the highest point on Earth. So what happened when Major Rob Marshall of the U.S. Air Force and three fellow USAF climbers arrived at that elusive spot earlier this year? Thirty push-ups, of course. 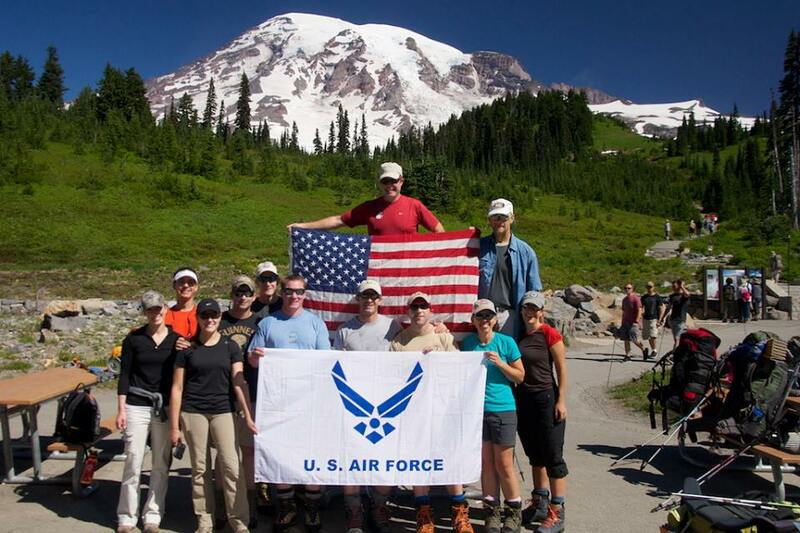 For Marshall and his revolving group of climbers, raising funds for military-related charities while providing an example of the camaraderie and physical superiority of the Air Force in extreme conditions provided all the inspiration they would need. 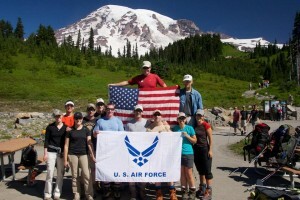 The USAF 7 Summits Challenge was born. Not only did this team scale the Seven Summits, the tallest points on each of the seven continents, over an eight-year span, but once reaching the top they took a few moments to honor fallen members of the armed forces. No words needed, just a round of push-ups. But the group didn’t begin with Everest. That monumental achievement wouldn’t come for nearly 94 months after the team, led by co-founders Marshall and USAF Capt. 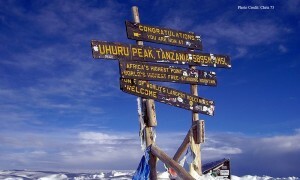 Mark Uberuaga, set off for its first summit in July of 2005. As the Airmen reached the top of Europe’s Mount Elbrus near the Russia-Georgia border, the 18,000-plus foot climb marked a successful ascent and the remainder of the challenge was downhill from there, in a sense. 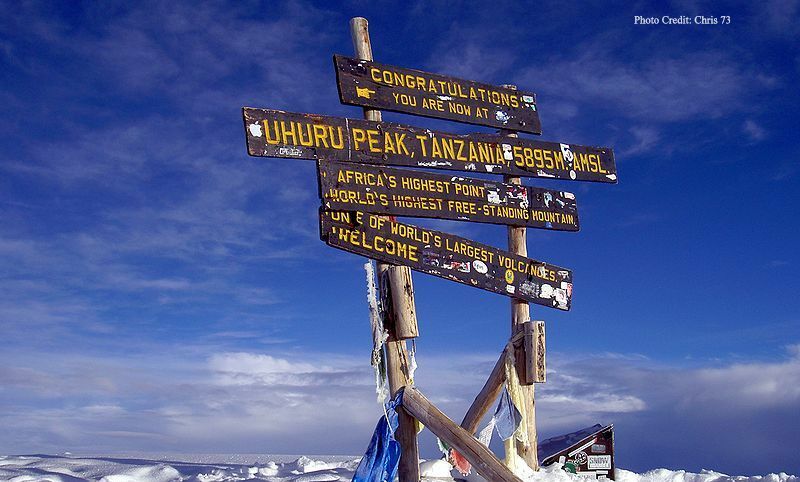 After a trip to the 19,341-foot pinnacle of Mount Kilimanjaro in Africa a year later, the USAF climbers broke the 20,000-foot plateau on the way to the peak of Mount Aconcagua in the Andes in South America in Feb. 2007. Uberuaga took over as climb leader for a trek in home territory in June 2008: North America’s Mount McKinley. In the final days of 2010, the team traveled thousands of miles from civilization to the Antarctica tundra to reach the top of Mount Vinson. Despite battling foul weather, the group persevered to the 16,000-foot pinnacle and Marshall not only performed his traditional honorary push-ups but set a record for the Antarctic peak with 70 in 52 seconds. The Air Force team enjoyed a comparatively leisurely ascent to the top of Mount Kosciuszko in Australia alongside servicemen from the local military in Oct. 2011. Following the day-long journey, the lone, daunting summit remained unconquered in the Himalayas. 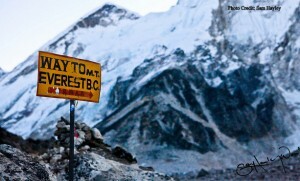 Nineteen months later in May 2013, the team checked Everest, the final expedition, off the 7 Summits Challenge list. As opposed to the one-day Kosciuszko climb, the group spent 50 days in the Himalayas to safely acclimate to the atmospheric conditions before making the final push. As four of the team of six reached the top of the world, Marshall overcame physical exhaustion and entered a prone position to perform his 30 push-ups. The climbers did not use a highly-specialized training regimen specific to mountaineering, instead using the challenge as an opportunity to show the versatility of the Air Force Fitness Program. Although Airmen and women utilize various exercise routines, the program tests individuals in basic categories such as aerobics, based on a 1.5-mile run, push-ups and crunches. The program shows all-around physical fitness can help individuals soar to new heights, evidenced by the 7 Summits Challenge.